Could OnePlus be onto another winner? Highly anticipated: We still don’t know exactly when the OnePlus 6T will be unveiled, but judging from the increase in leaks recently, that date is fast approaching. Following leaked images of the phone’s retail box, we’ve just got our best look at the device via a render. The image turned up on Chinese microblogging site Weibo, where numerous leakers post pre-release photos. We see the OnePlus 6T sporting a similar teardrop-style notch that’s appeared in a couple of recent handsets, along with a vertically aligned triple rear camera setup—it’s thought that the flash is hidden or placed to the right of the array. 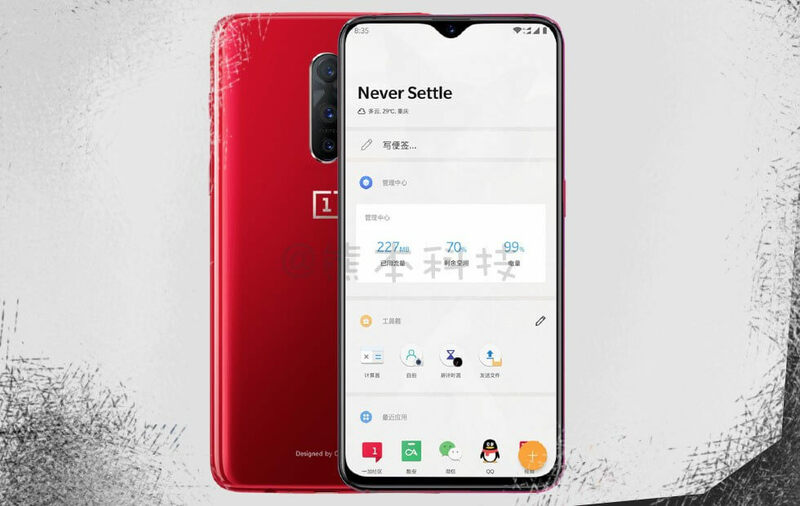 This version comes in the same red color we’ve seen on other OnePlus devices. While it was the Essential phone that first came up with the notch, most Android manufacturers copy the cutout found in the iPhone X. But the smaller, less intrusive notch seen in the Essential has appeared in the Oppo F9 and Oppo R17. Now, the OnePlus 6T is adopting something very similar. It seems that if Android manufacturers must add a notch, this is one scenario where smaller is more satisfying. You might also notice the OnePlus 6T lacks any fingerprint scanner, suggesting this is another Chinese-made handset featuring an in-display fingerprint reader. It’s also got a huge screen-to-body ratio—a feature that’s becoming standard among smartphone makers. It’s rumored that we might hear an announcement regarding the OnePlus 6T sometime next month, with the launch date said to be around November 20. Given the popularity of its predecessor and OnePlus’ penchant for pricing devices much lower than its competitors, the upcoming handset could be one of the big hits of the year.